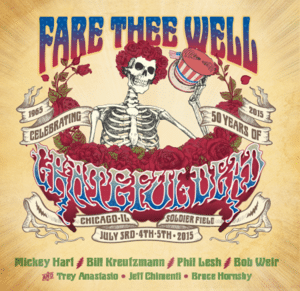 This weekend sees the first of the Fare Thee Well/Dead 50 shows – celebrating 50 years of the Grateful Dead, and billed as their last ever shows. 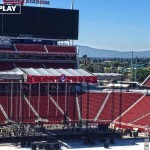 First up we have two shows from Levi’s Stadium in Santa Clara, CA. Soldier Field in Chicago hosts a three night stand for the final shows on July 3-5. Your cable provider will provide a pay-per-view broadcast of the Chicago shows only, hosted by CNBC’s Steve Liesman and featuring NBA Hall of Famer Bill Walton as a special guest. Participating cable and satellite providers include Verizon FIOS, AT&T U-Verse, Bell TV, Bright House Networks, Cablevision, Charter Communications, Comcast XFINITY, COX Communications, RCN, Rogers Cable, SaskTel, Time Warner Cable, Vubiquity, DISH Network and DirecTV. Video on Demand will also be available for 24 hours from your first viewing (rather than 30 days offered by webcasts). The July 3-5 event in Chicago is being broadcast live in theatres around the United States. The final show on July 5 will be broadcast live in theaters in Canada. July 5 will also be broadcast on tape delay to cinemas in the UK and Europe. The above link for Europe advises to stay tuned for more information on broadcasts to the rest of the world. YouTube, MLB.com and Nugs.tv (through MLB.tv) offer similarly priced packages for each of the five individual shows ($19,95 for Santa Clara or $29.95 for Chicago). There are package deals for Chicago, or you can save $20 and pay $109.95 for all five shows. Shows will be available On Demand for 30 days. If you plan on watching online on an iPad or iPhone, you will need to opt for the YouTube broadcast. Nugs.tv and MLB>com rely on Flash, which is not compatible with Apple products. Those with a Mac may be able to use Airplay to mirror their desktop to an Apple TV. A standard definition version will be available for those with slower connections. 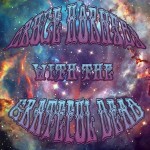 Sirius XM’s Grateful Dead channel (channel 23) will broadcast the three Chicago shows, featuring extended pre and post-show coverage from David Gans and Gary Lambert. 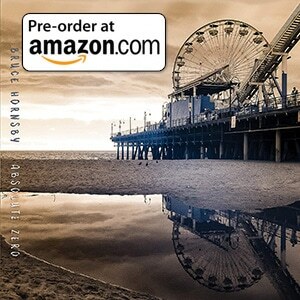 Shows will also be broadcast live to big screens at a concert venues across the United States. Dates vary from one venue to another – the most up-to-date information can be found at dead50.net.